#MWC17 has been taking the mobile social realm by storm since the Mobile World Congress (MWC) started on the 27 February. The conference was concluded on the 2 March but the internet is still buzzing with announcements and news on all the nifty gadgets and innovation we can expect in the mobile industry for 2017. This year more than 108 000 attendees from 208 countries flocked to MWC in Barcelona, a record-breaking turn-up for this conference running for 30 years now. This comes as no surprise as the conference programme featured 322 speakers from leading consumer brands, mobile organisations, mobile operators and industries touched by the mobile market — including automotive, advertising, banking, health, NGOs, entertainment and education. Including keynote speaker Reed Hastings, Founder and CEO of Netflix who discussed how content is in the centre of a period of disruption and change. Of course, iTouch directors Waheed Adam and Greg Brophy were apart of the action at MWC17 and provided some insight into what happened and what the latest news and what are the key launches for the year! Blackberry and Nokia made launched their throwback handsets, the Blackberry KEYone and reborn Nokia 3310. The KEYone, codename “Mercury” to fans, boasts the full-size qwerty board and large screen, while the 3310 is now powered by android and comes standard with the popular snake game from the original handset. Both handsets are still pretty mediocre but if you into throwbacks then get your hands on these babies. By flipping the lens through 90-degrees and using a prism to divert the light path, this new tech allows greater optical zoom capabilities in slim smartphone bodies without sacrificing any of the quality. This button works with a fingerprint technology and each section of your finger can be assigned a different task to control. Tapdo will launch on Kick Starter this month but in the meantime, you can subscribe on their site for pre-sale notifications. Visit Tapdo to sign up. 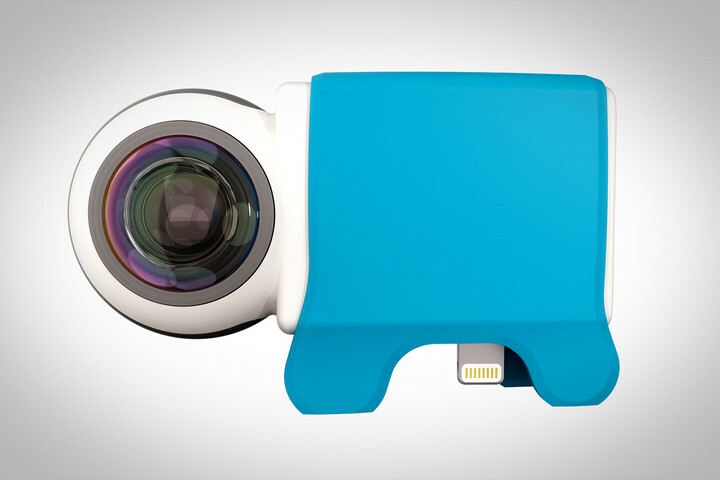 This nifty device allows you to capture 360-degree videos, photos and live streams with your iPhone. It comes with a built-in clip that fits snugly onto the end of your iPhone and specs include two 195-degree optics, a F/1.8 aperture, stereo microphones and a 915mAh battery so you won’t reduce the battery life of your phone. Sandisk A1 256GB MicroSD card. Every android users dream, no need to say anything more. The Porsche Design Book One is a premium Windows 2-in-1, offering full 360-degree flexibility and a detachable tablet display. The powerful system runs with an Intel Core i7 chipset and offers a range of attachments. Great advances has been made on G development and it was announced that the initial launch date 2020 will be brought forward. IoT attracted a huge amount of attention. NBIoT, as to be expected, were well represented, but other tech LoRa were also punted. Most of the on-goings were about how this tech will soon become a reality. While there is plenty more to digest and discuss from this years MWC we decided to hand pick what we thought were the highlights at this year’s event. If you want to know more about the conference or the latest mobile tech, contact us.